Belly fat is not a verdict! I’m happy to inform you that you can lose it if you want it. There’s a perfect and safe method to fight stomach fat. It’s workable, has a long-lasting effect and anyone can apply it. Every day you are going to eat three nutrient rich dishes 400 calories each and one snack with the same number of calories. 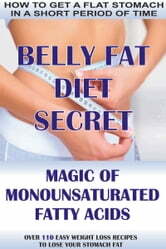 All the dishes and snacks have a right amount of monounsaturated fatty acids that will make belly fat disappear. This diet plan is ideal for people who have not much time for cooking. 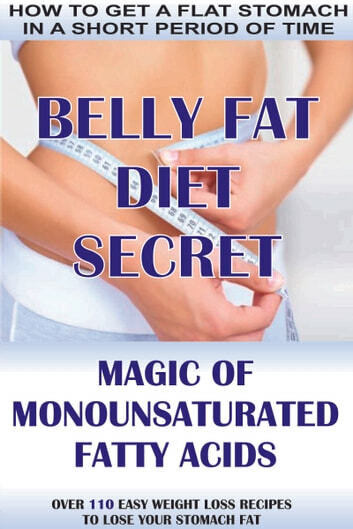 In this diet plan you’ll find 84 various recipes of 400 calorie dishes containing monounsaturated fatty acids. All the dishes are quick to cook. Also you’ll find 28 snack recipes containing 400 calories as well. You may choose three dishes and a snack a day. In a month your stomach will be flatter.